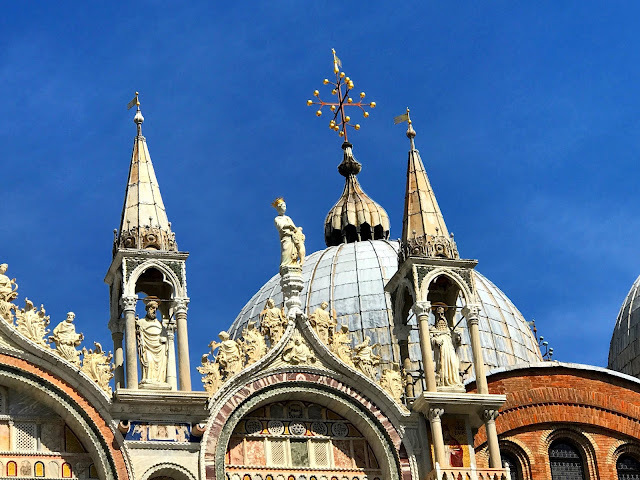 Visit the Westervin Blog to fall in LOVE with Brian West and Sarha Ervin. 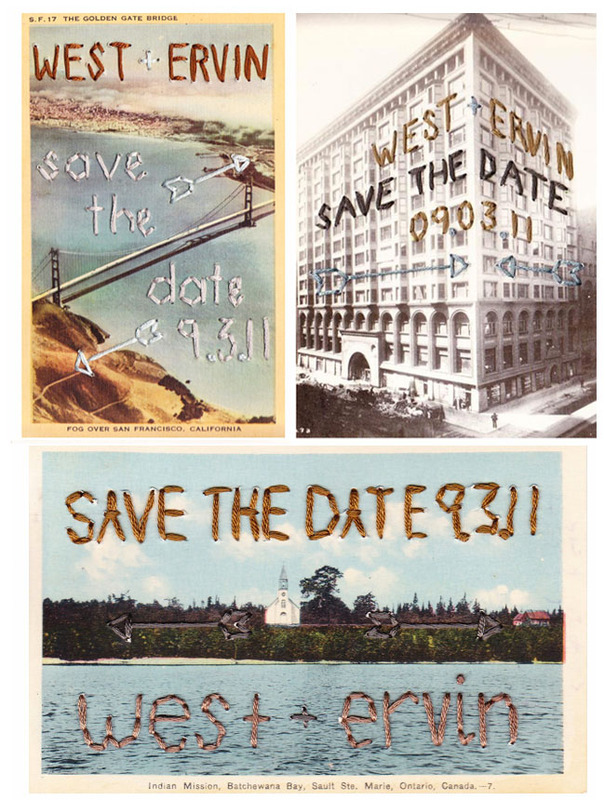 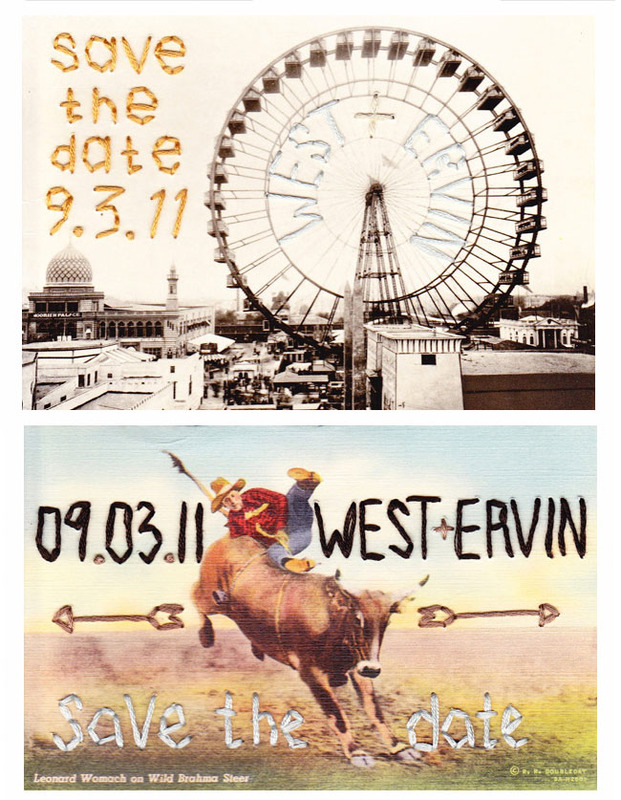 You'll be amazed by the save the dates that they created out of vintage post cards. 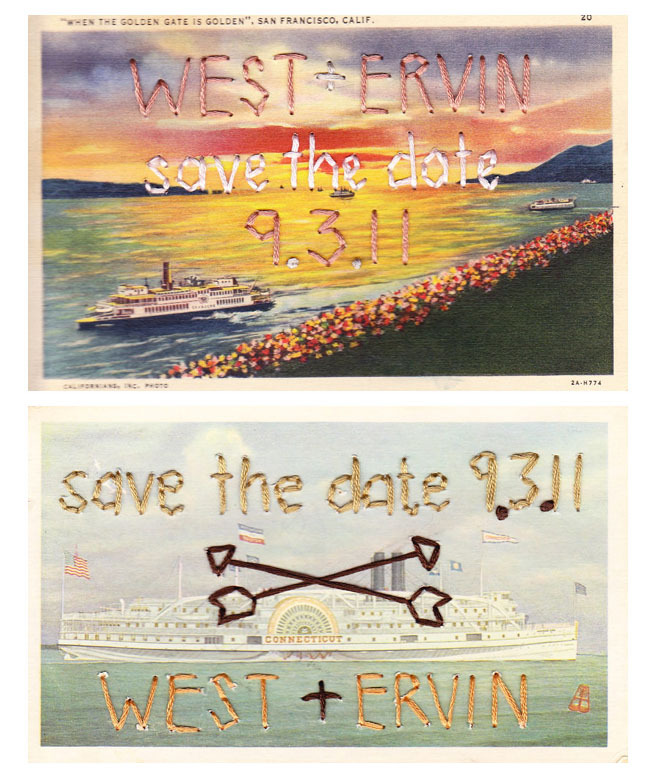 They even bought a vintage typewriter to address their envelopes.